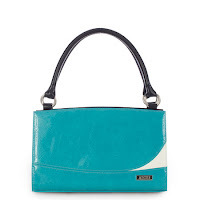 The Ashton Classic Shell in vibrant turquoise has sophisticated styling for afternoons sailing on beautiful waters and cocktails at the club. Try the Ashton Shell with Miche's new White Classic Base Bag (shown to the right). Limited Quantities available on the White Classic Base Bag.